The 64-year-old action star Jackie Chan is no stranger to risking his own life for the sake of his films. This time, however, danger did strike to threaten not only Jackie, but all the crew on the set of his latest film, "Project X". Today, we started shooting on location. 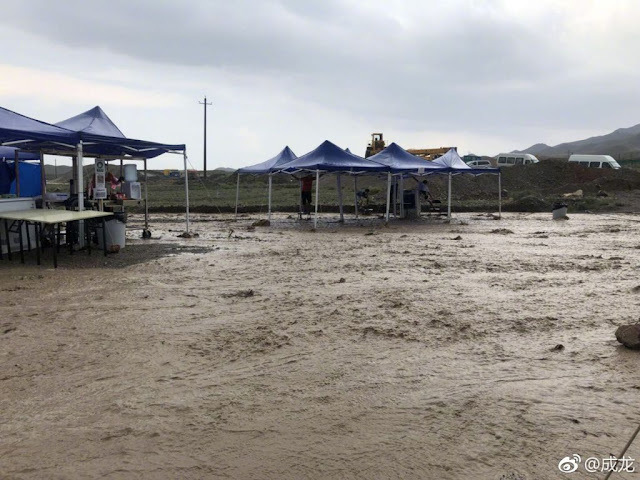 The weather suddenly changed and our crew were caught in a massive mudslide! 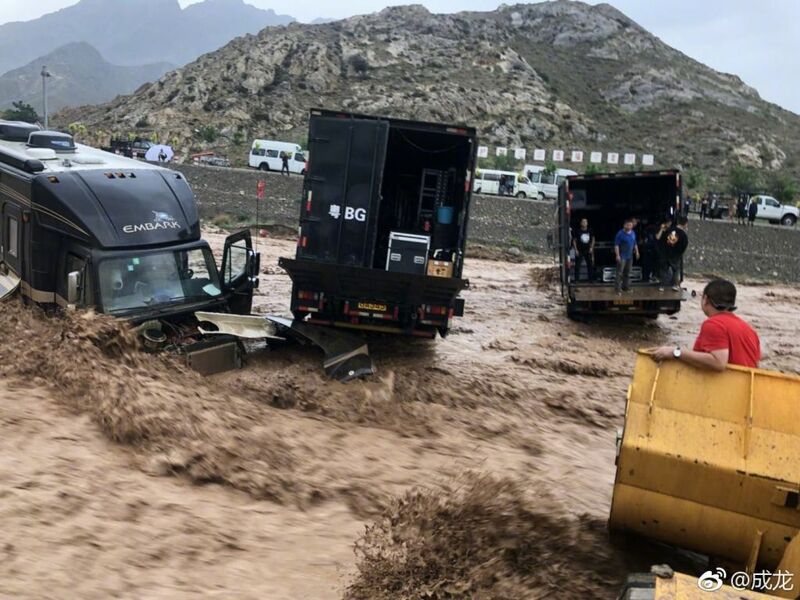 A few of our production trucks were stuck in the river of rushing mud. Many of the crew became frightened because it was so sudden. Luckily, some large hook trucks come to our rescue and helped tow our production trucks to safety. Jackie also extended his gratitude to rescue workers and others who helped during the near-disaster. I’d like to take this opportunity to say a heartfelt “thank you” to all the people who came to help us. 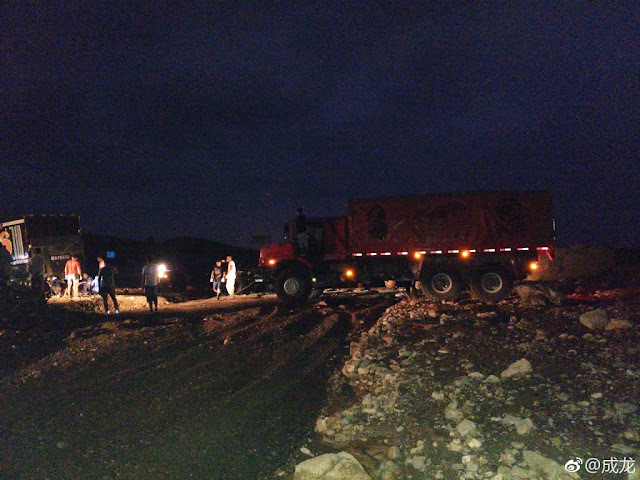 And also “sorry” to all the crew members who were frightened by the mudslide. Our production team will learn from this experience; be more alert to the weather conditions, do our best to protect our crew members and ensure that working conditions are absolutely safe. Thanks to everyone for your hard work! Chan, whose company Sparkle Roll Media is producing the film together with Talent International of China, stressed that they would pay more attention to weather and climate data to avoid future incidents of this kind. Directed by Scott Waugh ("Need for Speed") and written by Arash Amel ("Grace of Monaco", "The Parsifal Mosaic"), "Project X" tells the story of two Special Forces soldiers escorting civilians to safety out of war-torn Baghdad through its infamous Highway of Death. The film also stars WWE Superstar John Cena alongside Jackie Chan.